Enjoy the benefits of practicing agility with your dog! 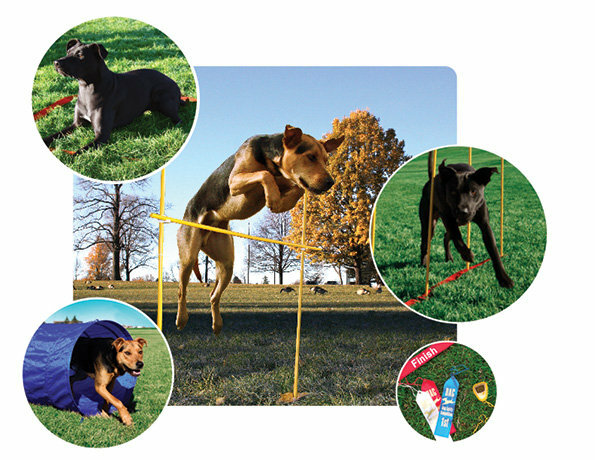 Our Dog Agility Starter Kit has all the tools you need to begin an agility training program. It's a fun way to teach and practice obedience, and a great workout to boot! 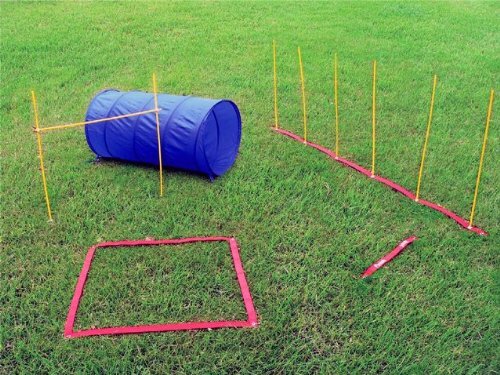 The Dog Agility Starter Kit includes a 24" diameter open tunnel along with a pause box, high jump, weave poles, start/finish line, stop watch, and awards.